Leading up to the big reveal, you’re a bit apprehensive how they’ll take it. Will they be shocked? Will they have a lot of questions? You’ve prepared fact-based responses to FAQs, of course, but what if they ask things outside your repertoire? We overheard your company’s expanding the employee benefits package to include a new goodie. 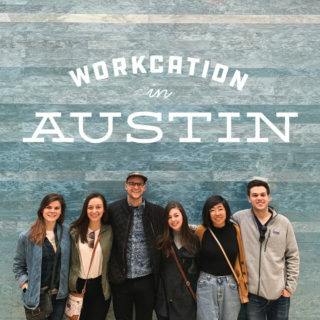 Lemonly is continually evolving our benefits to meet the wants and needs of employees, so we’d like to believe we’re well-prepared to step in and take it from here. 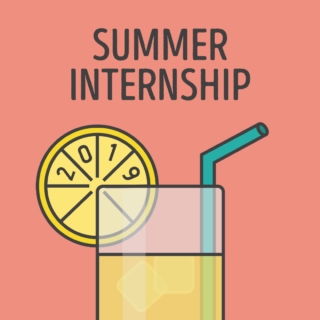 Whether you’re extending parental leave or installing a La Croix fountain, prep for the rollout with a few tried-and-true tactics for fostering positive engagement between you and your employees. Announce the new benefit at a meeting that includes everyone affected. With full-time employees assembled, break the news. Perhaps offer snacks. Food is a great way to incite enthusiasm from the get-go and lends the event an air of celebration. Get your crew amped up about the new opportunity. When Lemonly introduced Volunteer Time Off (VTO) this year, we congregated on our bleachers for the announcement. 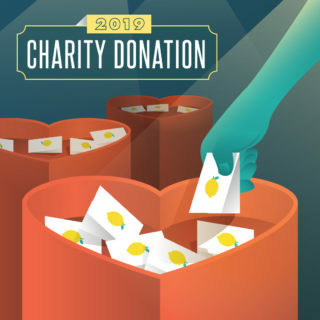 As part of Lemonly’s goal for charitable community impact, we now offer Volunteer Time Off (VTO). Every year, each employee receives four hours of VTO to volunteer, serve, or fundraise on company time. Your team is eager to hear more. Give a thorough explanation of the new benefit. What need or opportunity is this fulfilling for employees? Base your schpiel on these potential questions. How will it benefit employees? What was your insight into creating/changing this? When will this benefit be implemented? 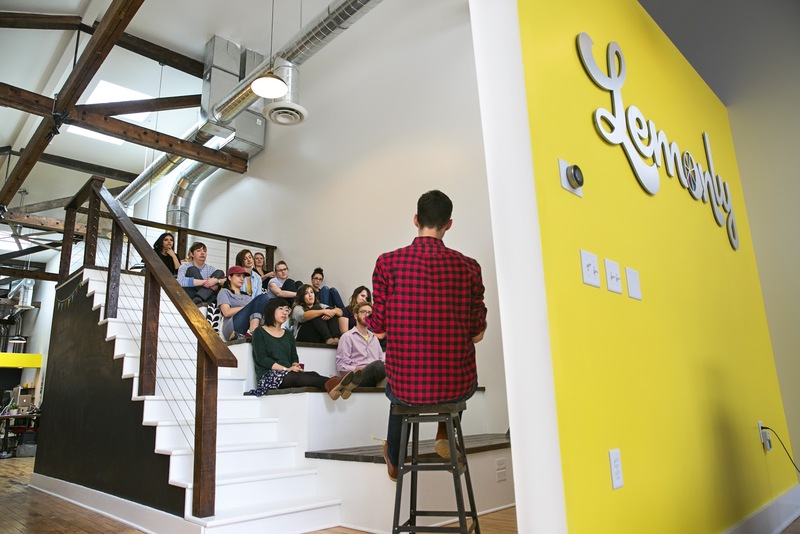 We’re passionate about encouraging our employees to practice Lemonly core values at and outside of work. Volunteer Time Off makes it easier to participate in community service. Employees are able to use four hours of VTO beginning January 15, 2018. Streamline complex benefits with images, charts or (our favorite) infographics. Hand the mic over to your team. Expect a few inquiries about details. A miscommunication never benefits anyone. Be clear and concise with your answers. And the more questions the merrier—it implies employees are engaged. 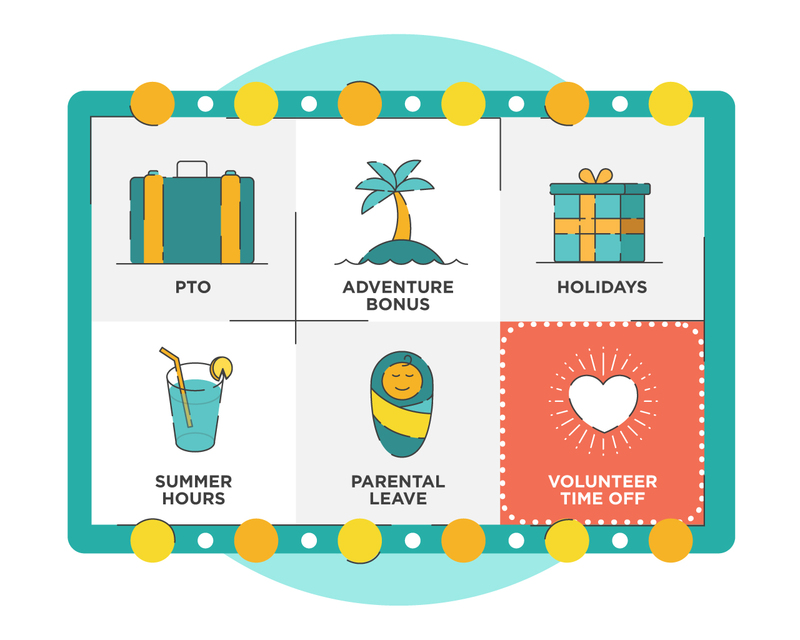 Our employees had specific questions about Volunteer Time Off. Does it have to be volunteering for a 501(c)3 non-profit? How far in advance do I have to take time off? Can we volunteer in groups? Offer avenues for employees to ask questions following the meeting. Some may not feel comfortable asking in front of a group. Encourage employees to reach out to decision-makers in the following weeks in a variety of ways. Make time for one-on-one meetings. Employees are more on board if you offer an open dialogue and a chance for their voice to be heard. The meeting went smoothly and your employees are excited to start taking advantage of the new benefit. Now kick back and enjoy the fruits of your “Benefits Talk” victory.